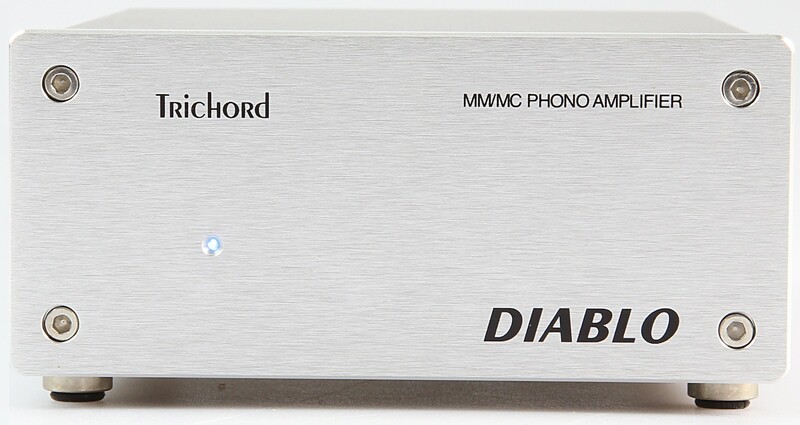 Trichord Research Diablo is a high end phono stage, designed to deliver the ultimate sonic transparency and realism - one of the finest and most versatile phono stages we've ever used under £2000. 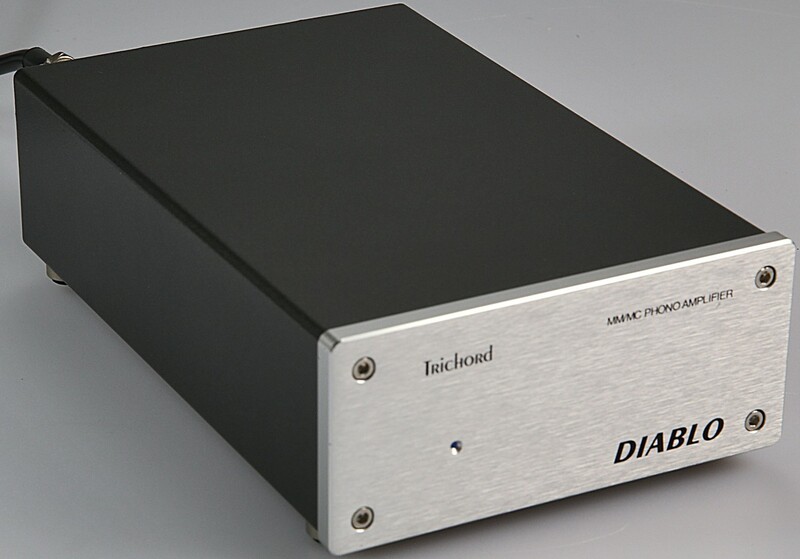 It will maximise the performance of a wide range of phono cartridges, from low output MCs to high output MMs. Previously only available in silver, the Diablo now comes in black. However, if you really want silver, Trichord may be able to supply us with silver finish (please contact us to order) otherwise we will ship black. Just like its baby brother the Trichord Dino, the Diablo features 'DIP switches' on the underside to select cartridge loading and gain settings. 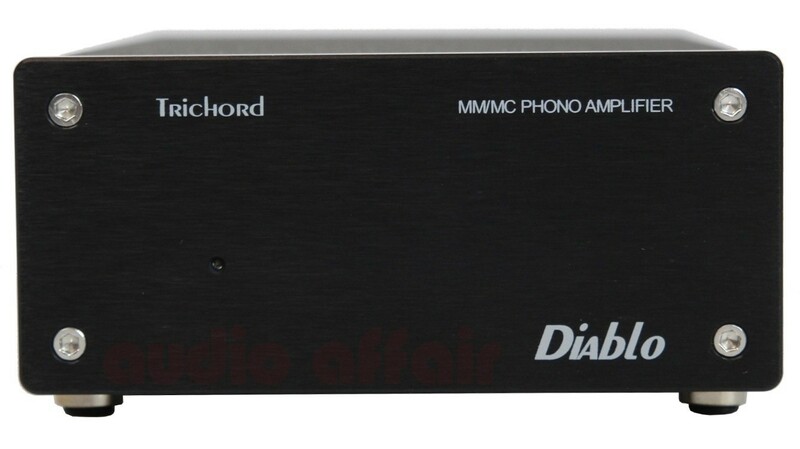 This is a unique feature and major benefit of the Diablo, allowing you to match these settings perfectly to your phono cartridge. 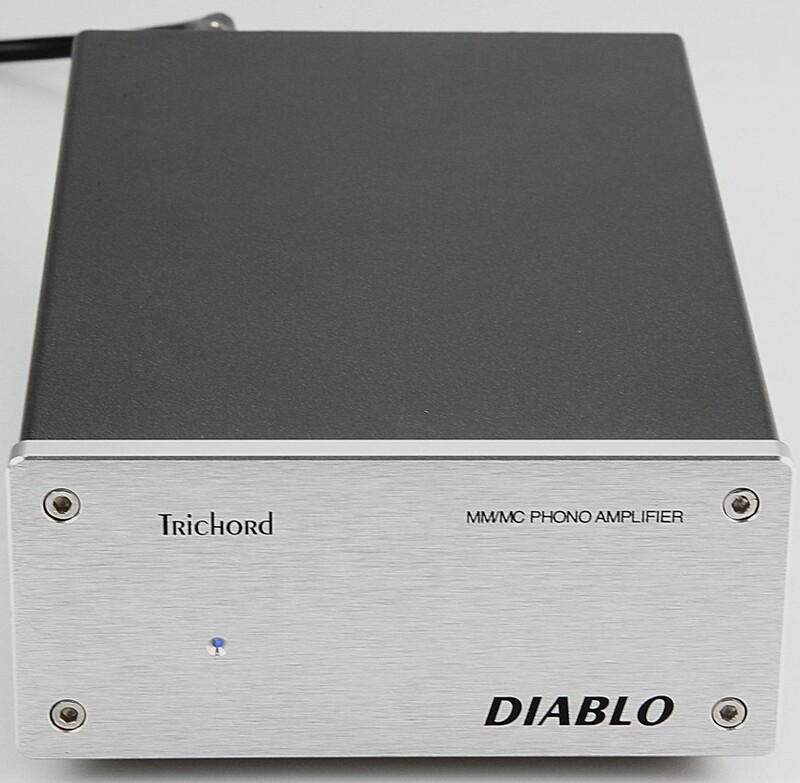 The Diablo features high grade audio components, including ultra low impedance capacitors for a very low noise floor. 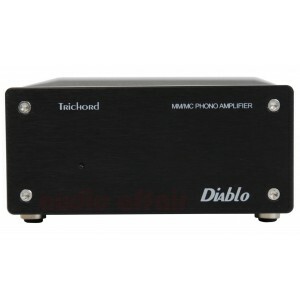 Four state-of-the-art ultra low impedance, low noise wide-band voltage regulator circuits are used that are largely responsible for Diablo's stunning audio performance. 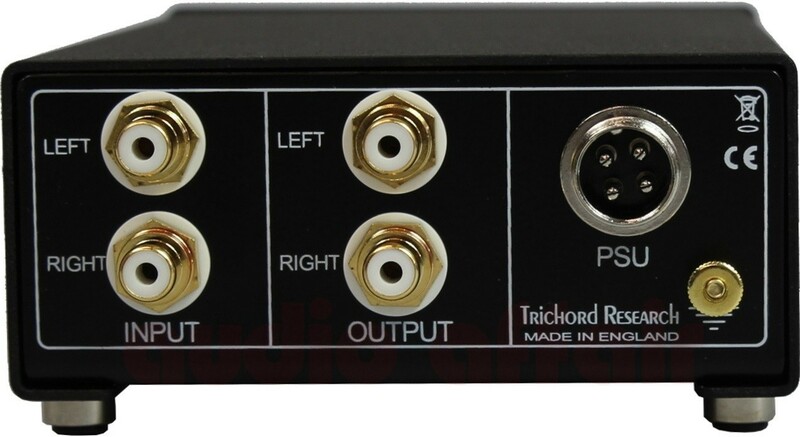 This phono stage is very transparent sonically with a low noise floor, allowing you to get the most from many different phono cartridges and breathe new life into your vinyl collection. 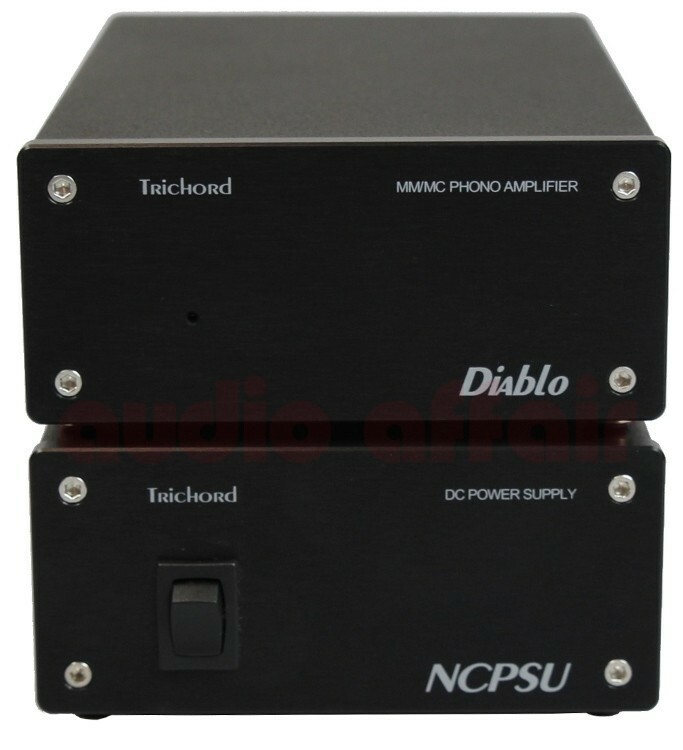 Available with the choice of either standard or "Never Connected Power Supply" (pictured together with the Diablo above) for even better performance. Please note the Never Connected Power Supply is available separately so you can order it later (but it will cost more overall than buying them both together now).